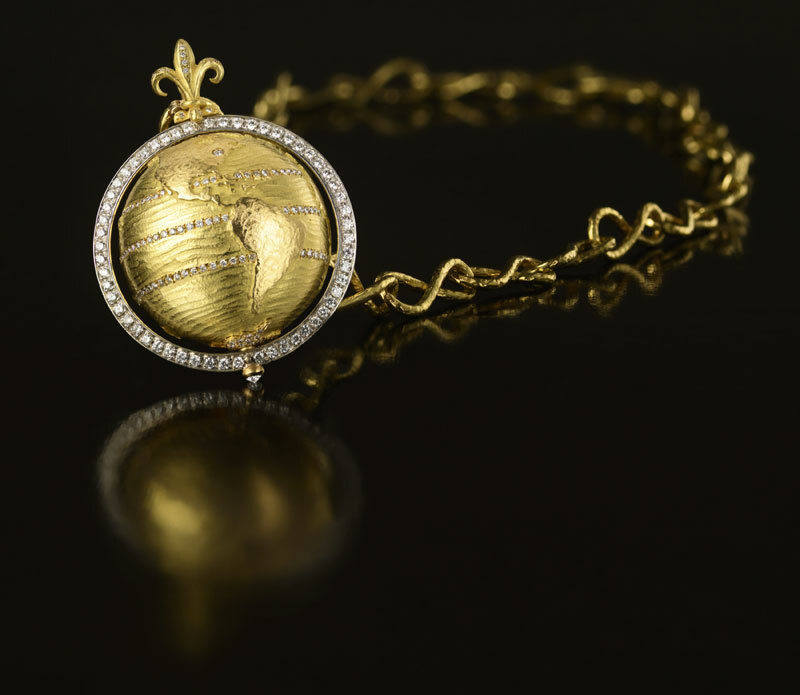 18ct yellow gold globe pendant within white gold/white diamond pavé armillary. Ocean rendered in graduated colors of sapphires. Reflecting the ocean’s depth in shades of sapphire, from deep to pale blue. 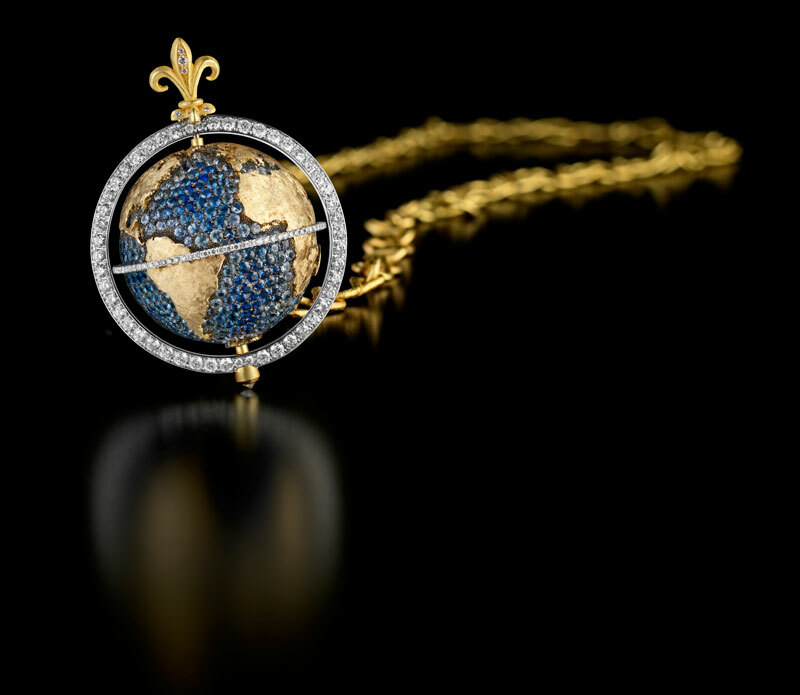 The diamond pavé armillary allows your world to spin 360 degrees. 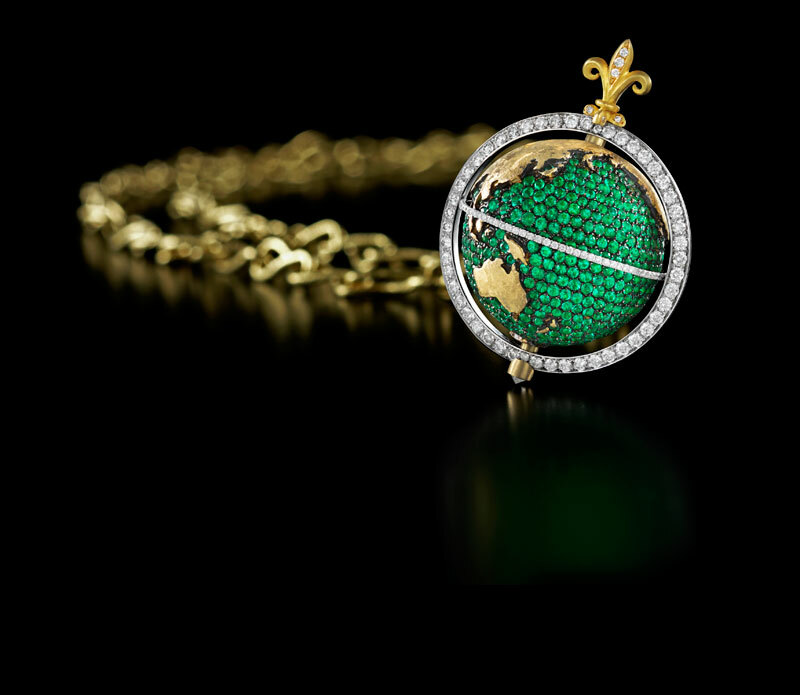 18k yellow gold and emerald pendant within white gold/white diamond armillary to allow 360 degree spinning. Is your world green or blue? 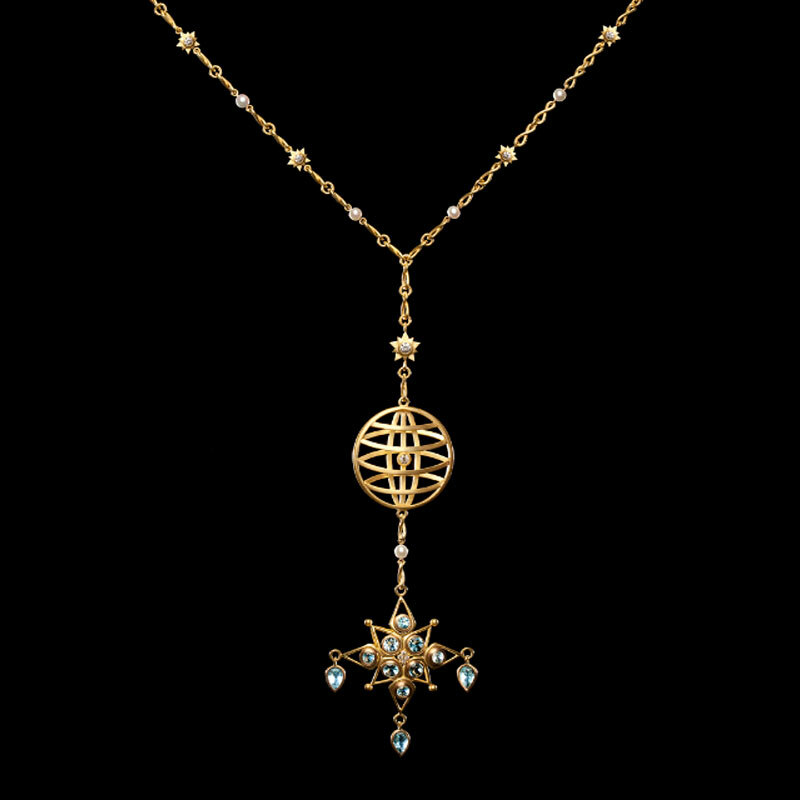 18k yellow gold diamond pavé pendant suspended in a diamond armillary to allow 360 degree spinning. “Heavens, I’m spinning. And I use this verb as a planet would.” -Collette. 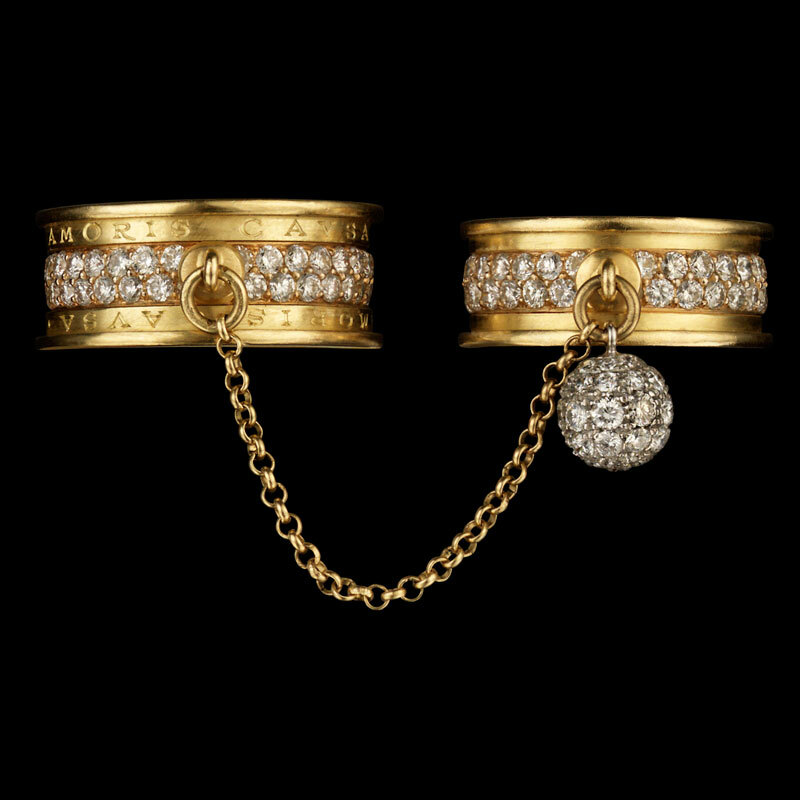 18k gold with diamonds. A globetrotter’s beguiling map of the world. A 19k gold and diamond coin of the realm. 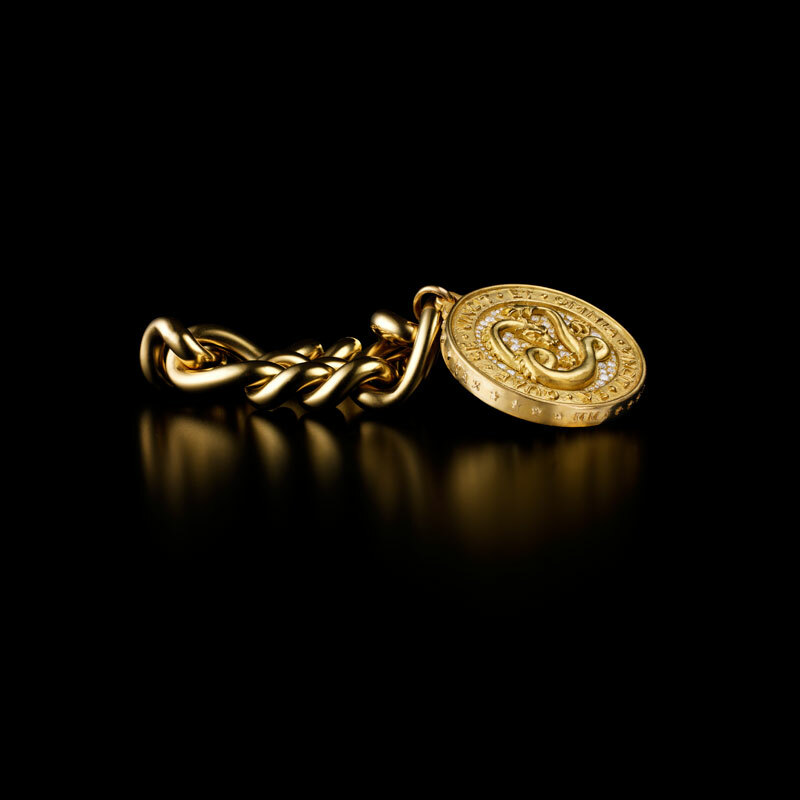 A mythical dragon coin on a vintage Italian link bracelet. Ea quae se vincit et omnia vincit. She who conquers herself conquers all. 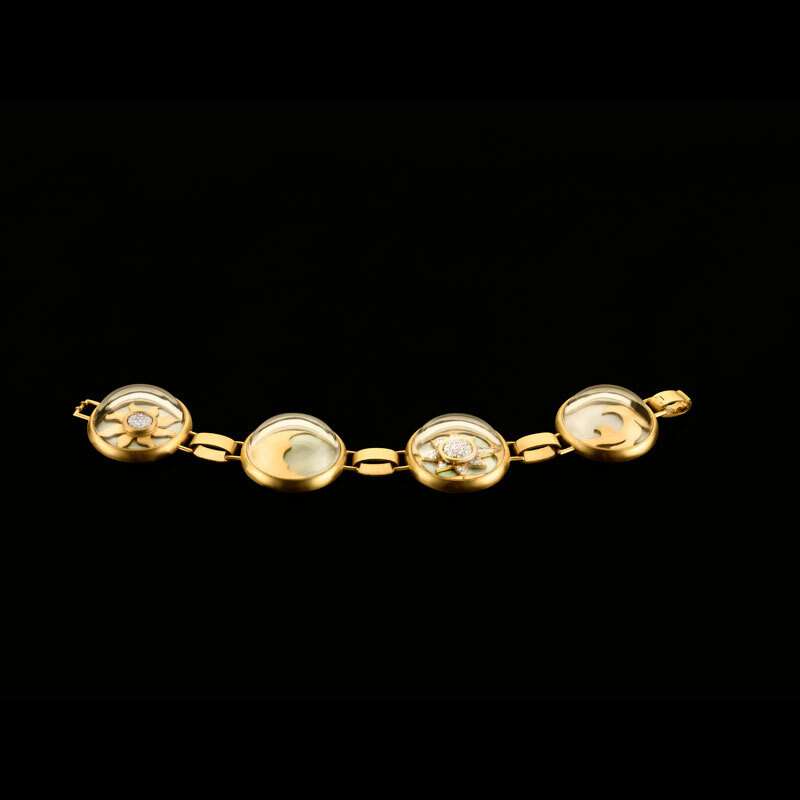 Ancient Roman hieroglyphs adorn a sculptural 18k gold bracelet. 18k gold, diamond, and mother of pearl symbols under carved rock crystals. 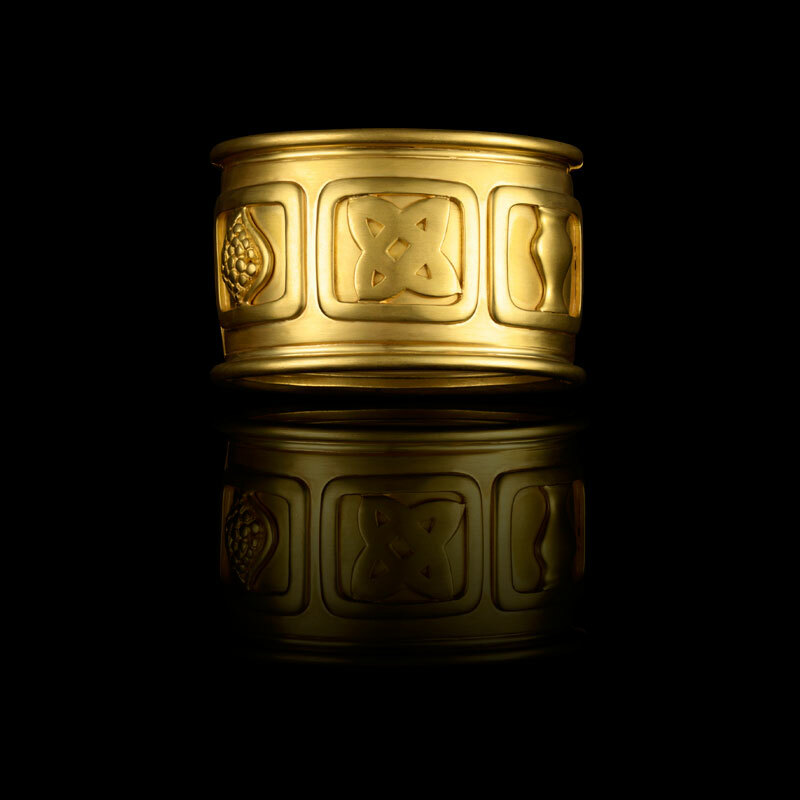 18k yellow gold and diamond linked rings. Freedom and restraint. Separateness and togetherness. Passion and obsession. Serva Amoris Cavsa. Slave to Love. 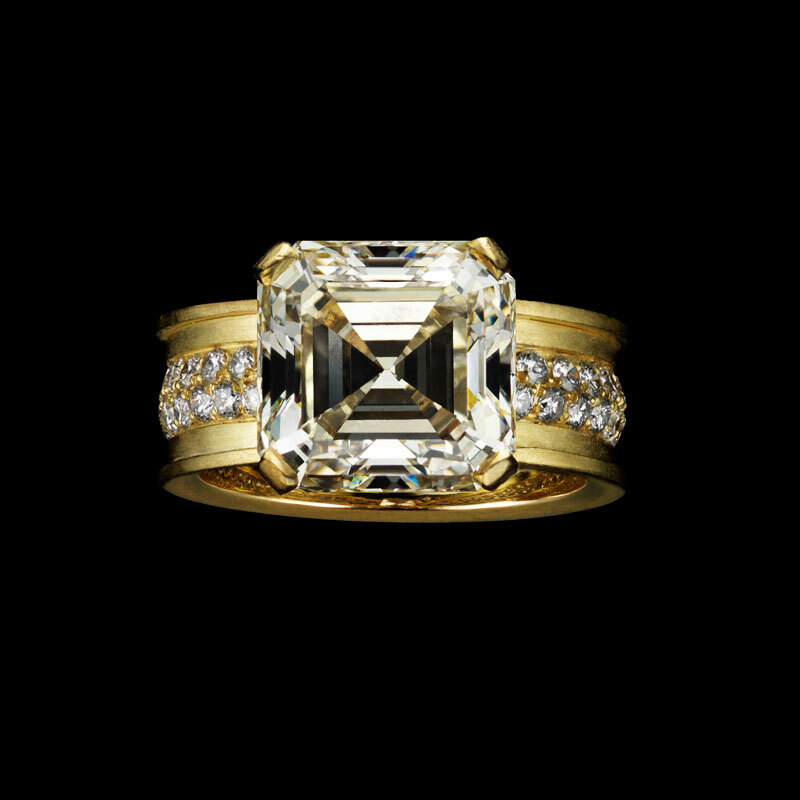 18k gold and 5.8 carat Aascher cut diamond. 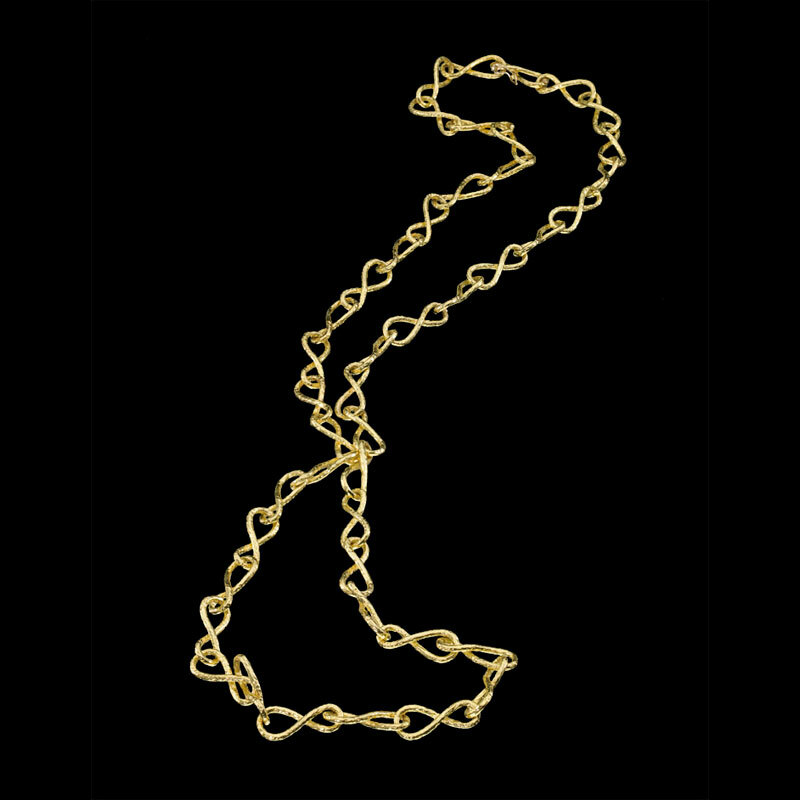 Wind Rose back-to-front necklace. 18k gold, diamond, pearl, and aquamarine. See the story com to life in our film IERI OGGI DOMANI….on this site. 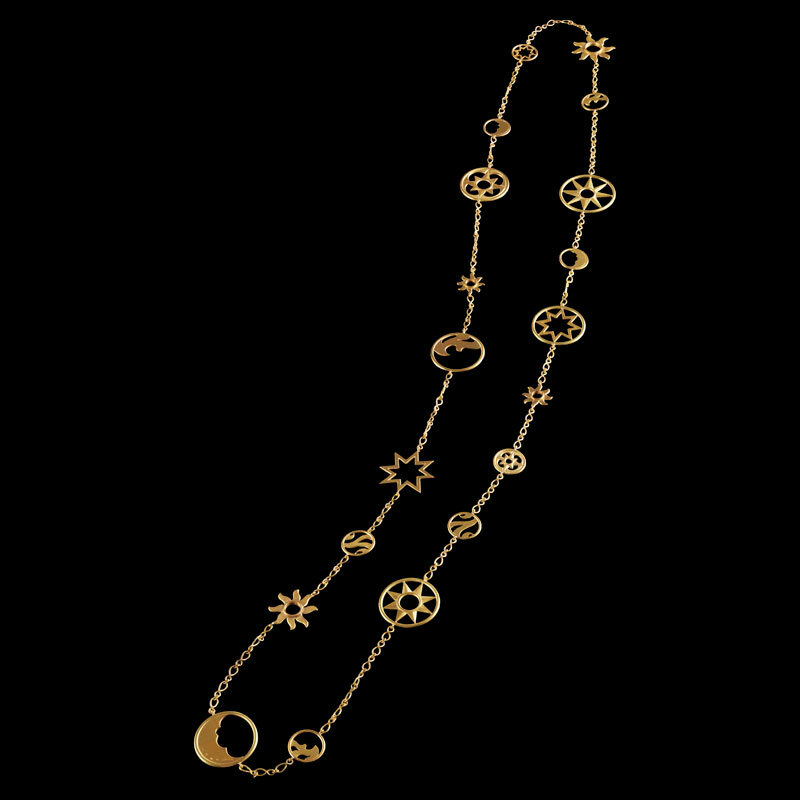 Cosmos necklace. 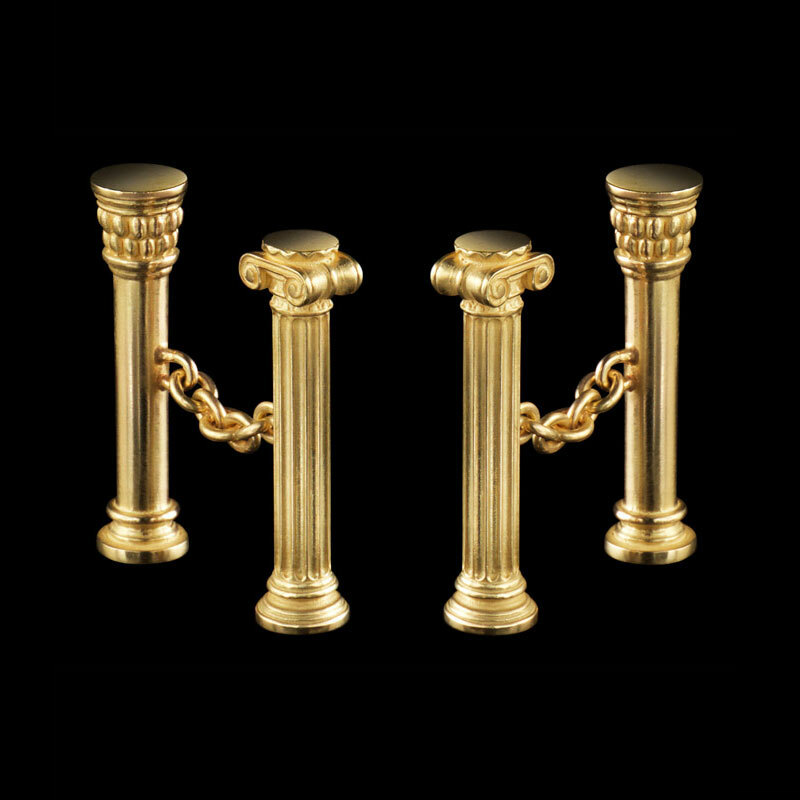 Each link made by hand, each symbol forged in the cosmos. Navigate by the stars and you’ll never feel lost. 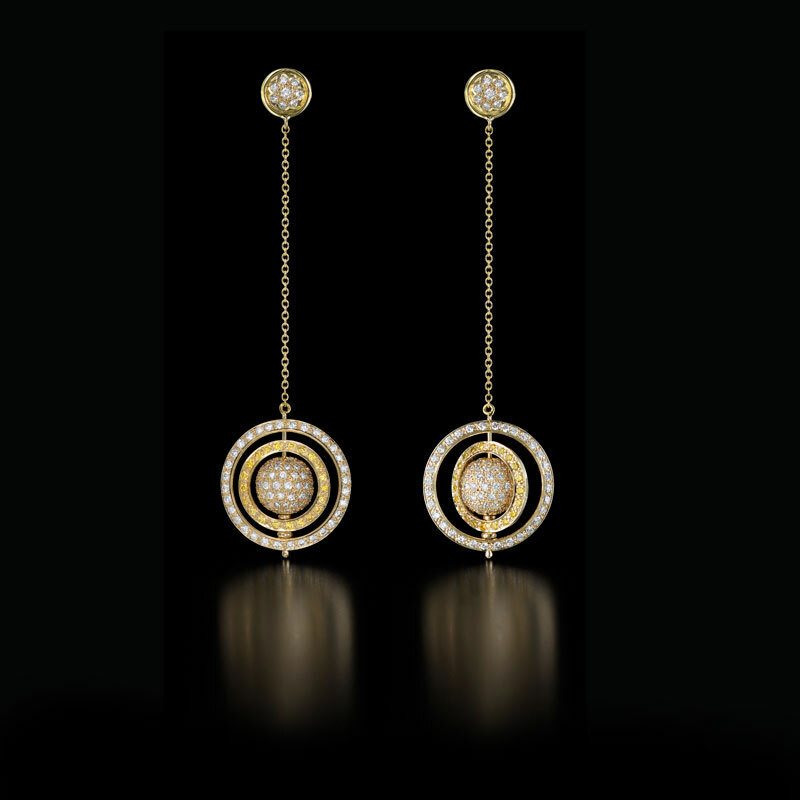 Spinning spheres in 18k gold with yellow and white diamond pavé. 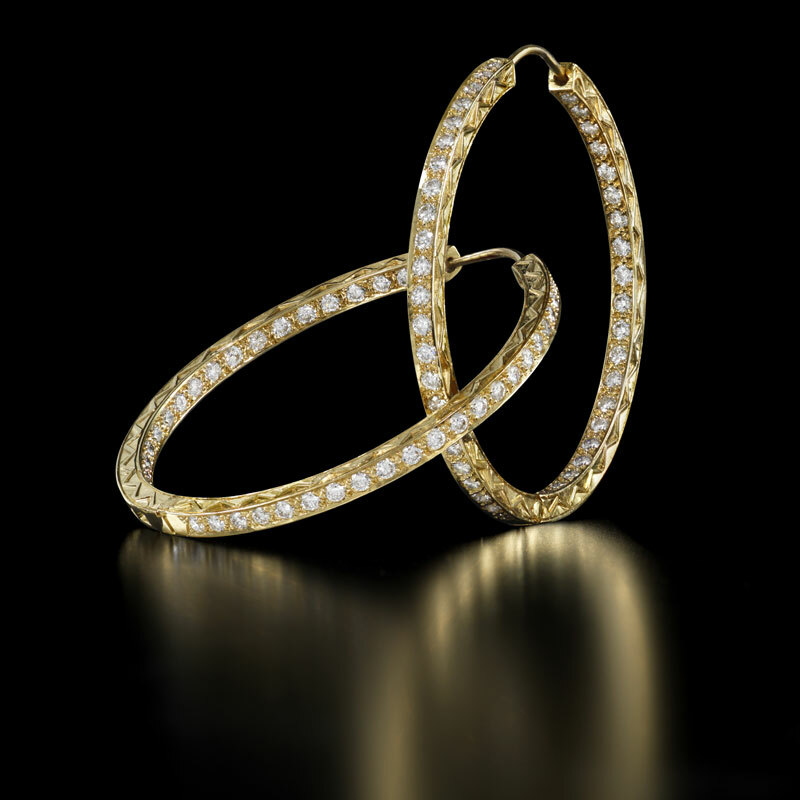 Diamond hoop earrings. 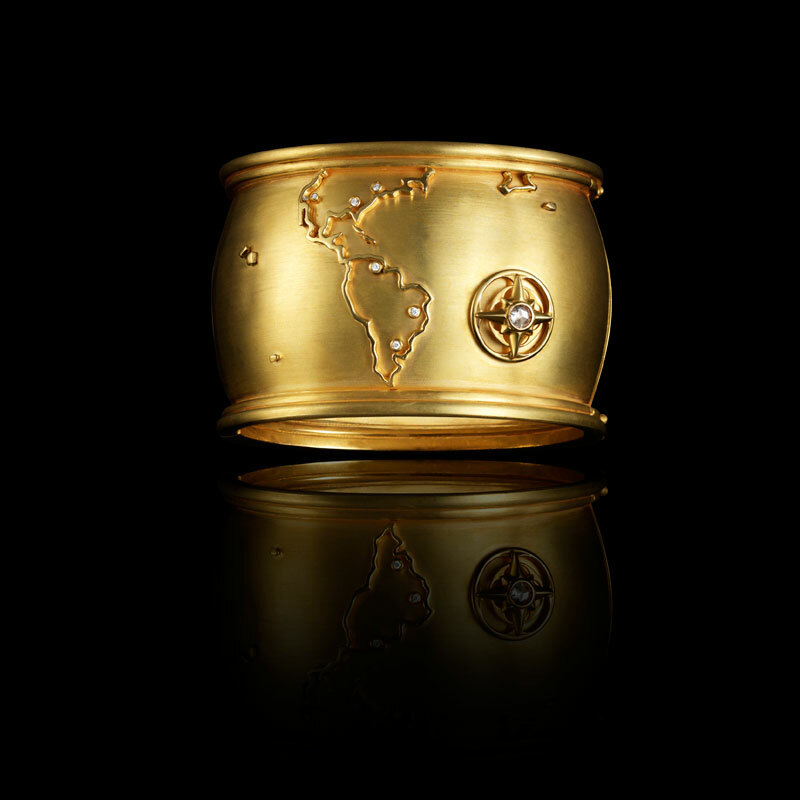 18k gold and diamonds – inside and out. 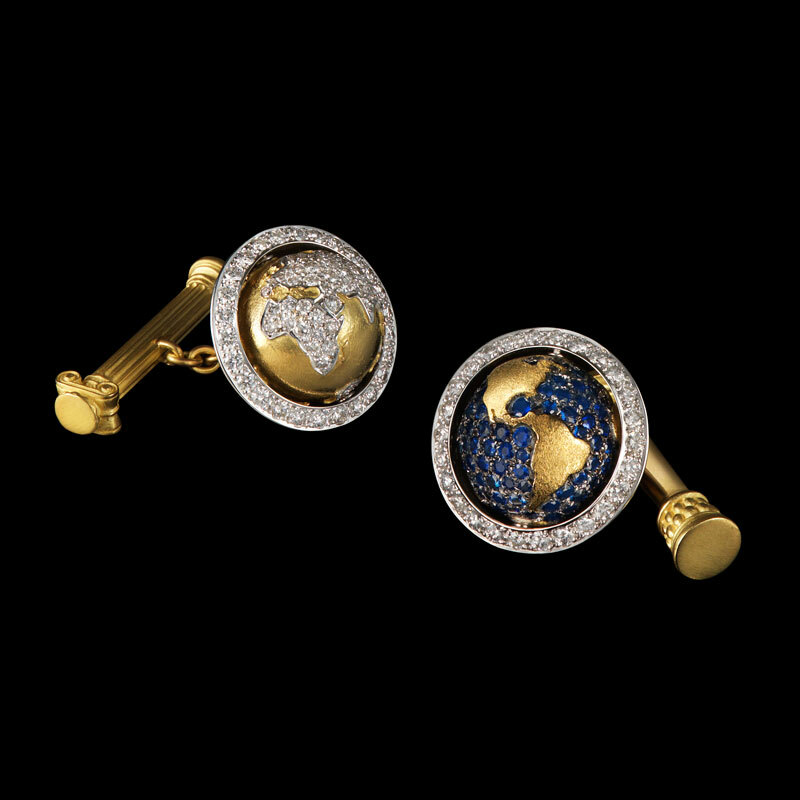 Spinning globe cufflinks in 18k gold and diamonds. Analemma Chain. 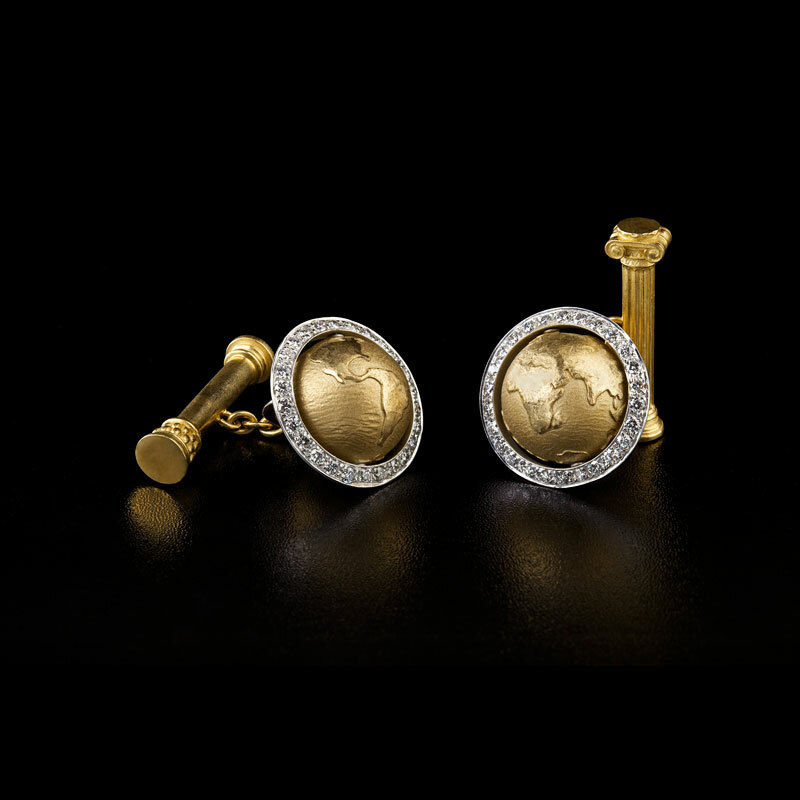 Inspired by the figure 8 graph on globes charting the sun’s position in the sky.